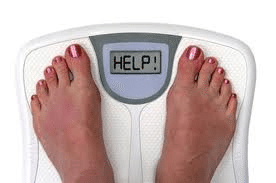 What is Hypnosis Weight Loss? Trying to lose weight by hypnosis is second only to smoking as a reason people look to a hypnotherapist for help. It seems that many people hit a stone wall in the weight loss battle because of some deeply ingrained, subconscious bad habits. Hypnosis is the unconscious state of accomplishing one or more tasks mindlessly. A good example is driving a car. You can drive for miles, paying little or no attention to the surrounding landscape, while you are thinking about your job, tasks you must accomplish at home, or that special dinner date with your mate. Hypnosis allows access to a person’s subconscious mind where resides their memories, their habits, and their beliefs. It is believed that if on a conscious level a person is resisting changing a bad habit, that when the subconscious is accessed and programmed with positive changes, change will occur on a completely natural level. Although “weight loss secrets” abound, very few of them are as safe and non-invasive as hypnosis is under a trained and qualified hypnotherapist. Many times hypnosis weight loss is successful where other more conventional treatments have failed. Typically hypnotherapy helps get to the inner core reason why a person is overweight and helps that person promote lifestyle changes. It accesses the enter belief system, and therefore established habits and patterns are changed. Hypnotherapy helps establish new and healthy patterns that stick for life. As far as losing weight goes, hypnotherapy is gaining popularity because the results change the inner core, which bring long-lasting, life-changing results.